The National Association of Homebuilders (NAHB) International Builders’ Show is the largest annual light construction show in the world. 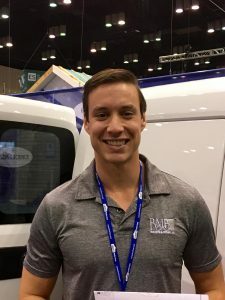 This year, there were more than 60,000 visitors from 100 countries in attendance, and we had the pleasure of meeting Travis Braxton, a project manager at RMB Building & Design, LLC, in Wilmington, North Carolina. 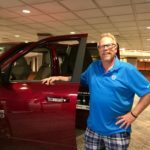 Check out the interview below to learn what Travis wishes he would have known before purchasing his vehicle, the importance of small-business support and his best advice to someone in the market for a new work vehicle. 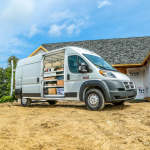 Tell us about your work vehicle. What are your favorite features? I drive a 2014 Ram 1500 Laramie. I love the touchscreen navigation, woodgrain instrument panel accents and the heated and ventilated front seats. The value is unreal. The style and features are like any other comparable competitor model. What’s one thing you wish you knew before you purchased your vehicle? 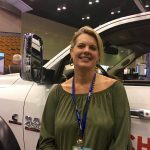 What’s your best advice to someone looking for a work vehicle? 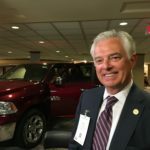 I wish I knew that as an NAHB member I was eligible for a $500 vehicle allowance and other perks, like discounts on services like shipping, rental cars and insurance. My best advice is to take the time to look into your member benefits. It’s invaluable. What does it mean for you to see a company like FCA supporting small businesses? It’s really great, I mean it. They see us – I feel cared for and appreciated. America was founded on small businesses, and they recognize that. We support them because they support us. Tell us about the On The Job benefits. Which incentive did you claim, if any? We had an upfit allowance. It was easy because they did all the work [laughs]. We just had to be a small business. 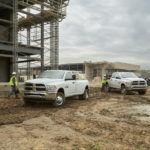 What work vehicle do you believe you’ll purchase in the future? Why? Definitely a Ram truck. I can rely on the brand to get me where I need to go at the best price with the best features possible. Function, reliability and comfort are never sacrificed. Keep this advice (and $500) in your back pocket – visit your association’s website for further details on your eligibility for a vehicle allowance good toward the purchase or lease of select Chrysler, Dodge, Jeep®, Ram and FIAT® Brand Vehicles.